Apotheosis MC is a Towny based whitelist server with an ascension themed rank system, allowing players to reach God status at the highest server rank. Each new rank aquired unlocks access to new and exciting perks for players at every level. Some of our more noteworthy plugins are: AnimatedInventory,Quests, Citizens, CratesPlus with 4 unique chests in spawn, CrazyEnchantments, TimedRewards, Elevators, mcMMO, PartyRoom, ServerMinimap, SignShop, SilkSpawners, Towny, TryMe Quiz Game, and many more! 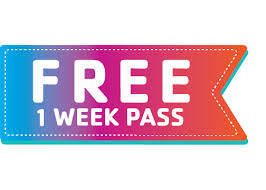 Join now and get a free 1 week trial period to try before you buy! After your trial period ends, server access can be purchased for only $2 per month! Buy one month, three months, or go big with a monthly subscription! Start your free trial now --> http://ApotheosisMC.BuyCraft.net *NOTE* Some features listed require in-game ranks, bought with in-game money. Other features are available for all players regardless of rank.